Klaus - Welcome to TVPaint Community forums ! Just crossed the way of this teaser, I was aware that they always do amazing things at the SPA studio but... The compositing on the character animation is incredible, and it's a mystery to me. 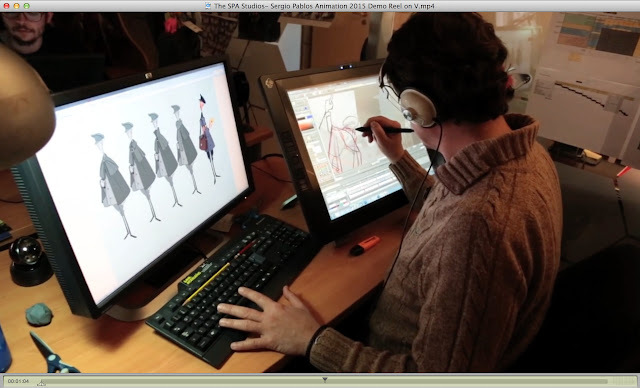 CARTOON BREW: How many animators were involved in making the piece? And do you (and others at your studio) still animate on paper or do you draw everything digitally? SERGIO PABLOS: We had some friends around the world chip in with a few shots, but it’s mostly the work of two animators. Most of the animation was done digitally on TVPaint. So I came here expecting to read a thread about Sergio Pablos' (The SPA Studios) teaser of his latest project Klaus. I can't see one. If I missed it, please point me there. Apparently, this is all made in TVPaint, and is all hand-drawn animation. *Edit Arrrrrrghhh! I can never figure out how to embed a video. Last edited by Dean B on 01 Jun 2015, 20:32, edited 3 times in total. I'm not sure if ALL of it is done in TVPaint ... in the interview with Sergio on CartoonBrew it alludes to a "proprietary process under wraps for the moment." 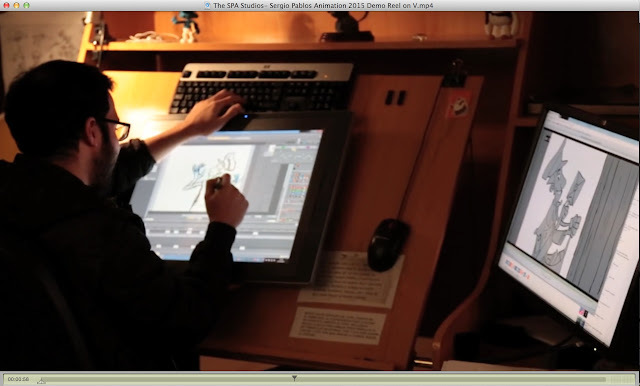 , but later in the interview Sergio definitely mentions the animation being done in in TVPaint. SERGIO PABLOS: We had some friends around the world chip in with a few shots, but it’s mostly the work of two animators. Most of the animation was done digitally on TVPaint. Last edited by D.T. Nethery on 02 Jun 2015, 13:33, edited 1 time in total. Dean B wrote: So I came here expecting to read a thread about Sergio Pablos' (The SPA Studios) teaser of his latest project Klaus. I can't see one. If I missed it, please point me there. For embedding Vimeo just copy and paste the numbers after vimeo.com/ between the Vimeo tags . So for this video : http://vimeo.com/126287950" onclick="window.open(this.href);return false; , only put 126287950 between the Vimeo tags. Last edited by D.T. Nethery on 21 Nov 2015, 13:05, edited 1 time in total. Hi Dean, thank you for creating the subject. I had the opportunity to visit SPA studio few months ago and had the great pleasure to watch Klaus' trailer. I confirm the animation is done on TVPaint. Regarding Textures and Shadows, since I'm not sure I am authorized to tell it, I will keep it secret for the moment. You are a saint, and a scholar. Thanks, again. First impression was - it's 3D with some very sophisticated rendering. After a few seconds I realized, it's too good and too natural to be 3D. So if it's really all hand-drawn on TVP, it's a totally amazing mastery of the technique! 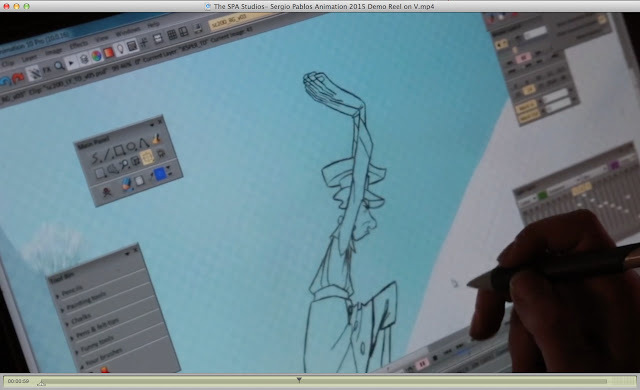 Here is the Rough Animation Reel from Jorge A. Capote, one of the 2D animator on Klaus. Don't know what happened but defenitely not something based on the software must be marketing. Kind of bummed out about it to be honest since i really like tvpaint. Also thought SPA was really into tvpaint so don't quite understand. I used both programs and i can defenitely say tvpaint is the best i've found for traditional animation. Havent tried the latest version though so maybe they improved something i dont know. Yeah i don't quite understand but there's probably a reason. Still doesnt have to mean tvpaint wont be used. 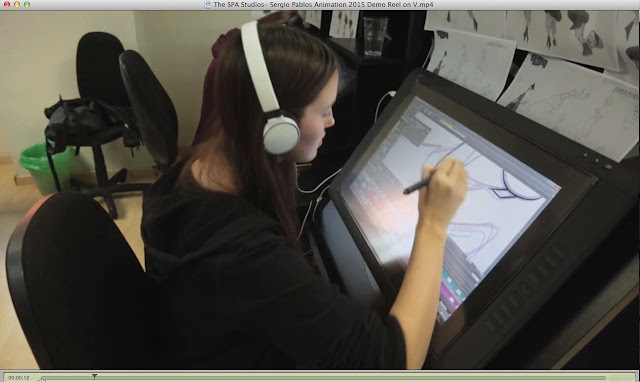 On "The Congress" they said it was all done in toonboom which im sure it was for the largest part and the final cleanup but we used Tvpaint and i know another studio worked on paper. In theory you could just use wathever you prefer of course for the animation. But often studios want everyone to work with the same program of course.